Home > News > Southern News > Ten years and counting! 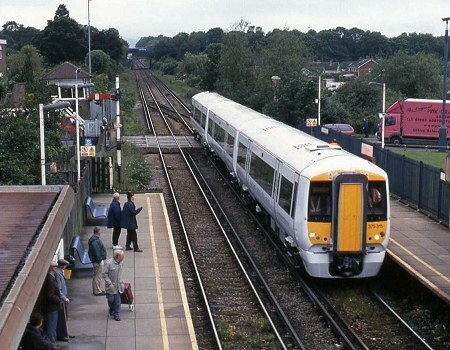 Ordered by the then franchisee Connex for their South Central franchise, class 377/3 units are approaching their tenth anniversary of introduction to service. Delivered as Class 375/3 with Tightlock couplers they were re-designated Class 377/3 when fitted with Dellner couplers. Strangely the 375/3 units on the South Eastern franchise also later had Dellner couplers fitted but their class designation was not changed. 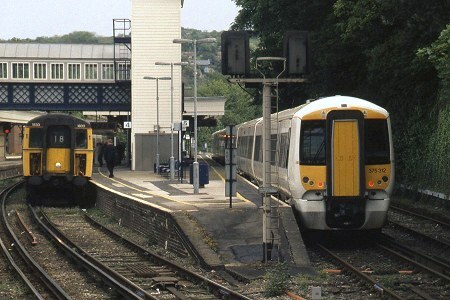 375312 at Lewes, with 4Cig 1833 in the adjacent platform, whilst on test on 13th May 2002. 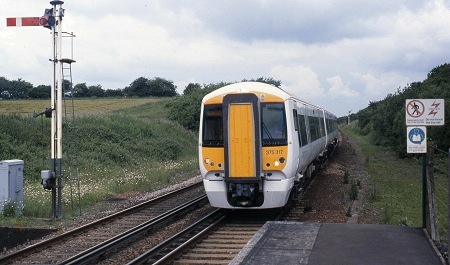 375315 passing through Polegate whilst on test on 13th June 2002. 375317 is about to pass through Berwick on 20th June 2002, again whilst being tested.